Ada pertanyaan untuk Kazzhol Hotel Almaty? Direnovasi pada tahun 2012, Kazzhol Hotel Almaty menjamin pengalaman menginap yang menyenangkan bagi para tamu di Almaty, baik untuk tujuan bisnis maupun plesir. Properti ini terletak 0.1 Km dari pusat kota dan menyediakan akses mudah ke fasilitas-fasilitas penting kota ini. Properti ini terletak di sekitar obyek wisata populer di kota ini, contohnya Almaty Central Park, Tengri-Umay Gallery, Rysbek Akhmetov's Art Gallery. 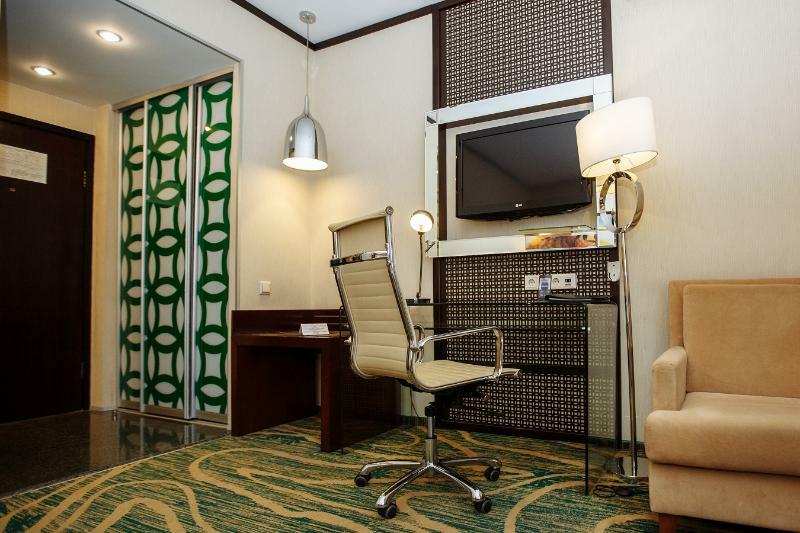 Kazzhol Hotel Almaty menawarkan pelayanan sempurna dan segala fasilitas penting untuk memanjakan para wisatawan. Properti ini menyediakan akses ke sejumlah pelayanan, termasuk WiFi gratis di semua kamar, Wi-fi di tempat umum, parkir valet, tempat parkir mobil, layanan kamar. Para tamu dapat memilih dari 175 kamar yang semuanya dilengkapi dengan suasana yang tenang dan harmonis. Sepanjang hari Anda dapat menikmati suasana menenangkan dari pusat kebugaran, sauna, kolam renang dalam ruangan, pijat, kamar uap. Temukan perpaduan menarik dari pelayanan profesional dan sejumlah fasilitas yang ada di Kazzhol Hotel Almaty. 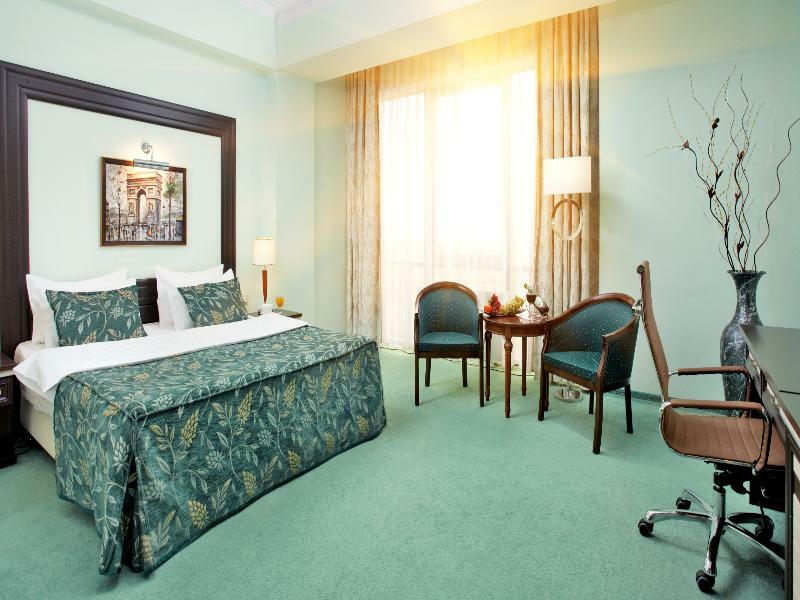 The hotel is well situated, within walking distance to the city centre and to a big shopping mall. The rooms are well appointed..even the most basic one. The views are nice with the backdrop of the mountains. One drawback is that the rooms dont have tea/coffee making facilities. I can't really fault Kazzhol Hotel on anything. Seemed like a great place at a reasonable price with great staff. Anastasia at reception and Azamat the bell boy were exceedingly helpful. We loved the fact that the hotel is so conveniently located to the big mall in Almaty...Mega. 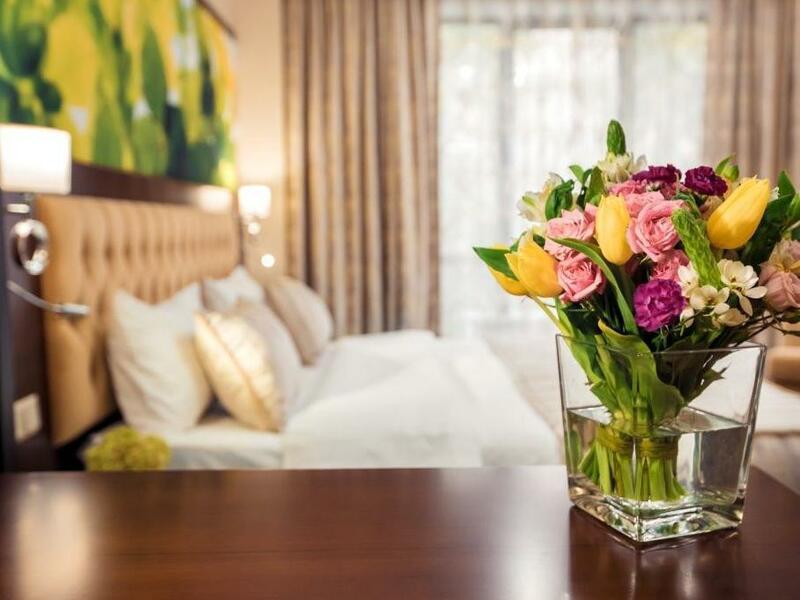 this hotel is well located with walk distance to downtown shopping center. the indoor pool and sauna are good. The stay was pretty good. Check in was effortless and they picked me up from the airport for 3000 Tenge each way. The staff were beautiful and helpful ha, the room was comfortable and overall there were no concerns. It's a good place to use if you're transiting to somewhere else because it's only ten to fifteen minutes from the airport. Overall I'd recommend it to friends that decide to visit Almaty. It's not the cheapest but I guess you get what you pay for. Stay was generally OK except I now have a problem to sort as I was asked to pay for the booking during checking in. Hotel insisted I have not paid but upon checking later when I came home to Malaysia I found out that I had paid on-line when I did the Agoda booking. This resulted in double payment problems which I am trying to sort out with Agoda. This is not a nice thing and causes unnecessary hassles. 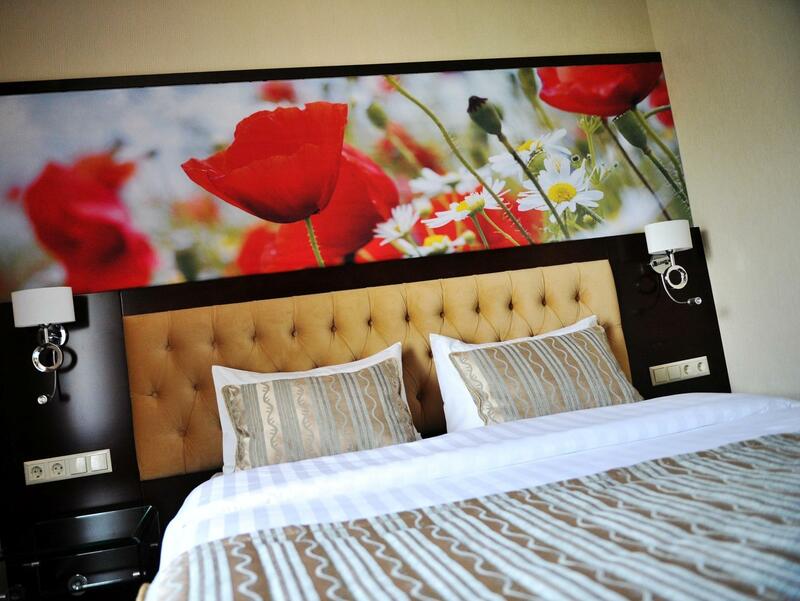 Easy to find, easy to book room, clean. 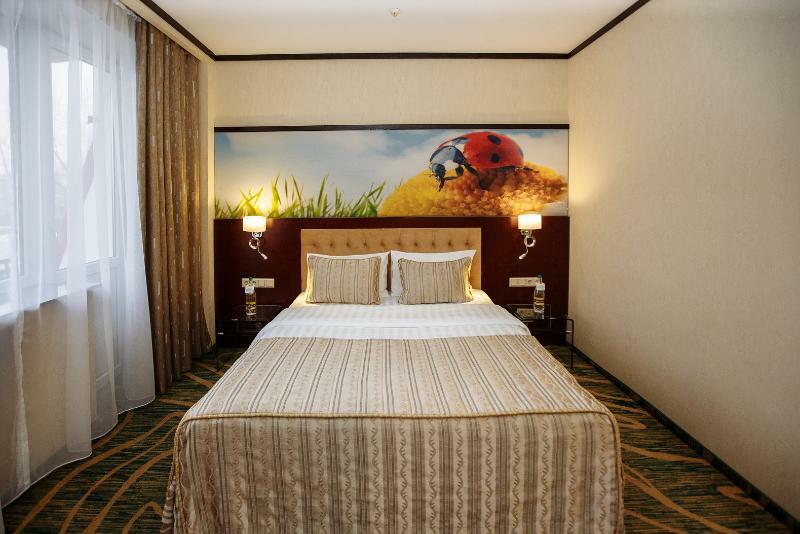 Hotels in Kazakhstan are ridiculously overpriced given where it is and what there is to do there; this place ought to be at least half the price compared to what one can get for a similar price in other cities given the size of the room. But, given the local market here it was far better than the airport hotel in Almaty which is the same price but old and filthy. The breakfast was pretty good at this restaurant and the people friendly too. I would stay again but if I could find a cheaper hotel I would try that out too. This was my first time to Almaty and the hotel provided a nice introduction to the city. 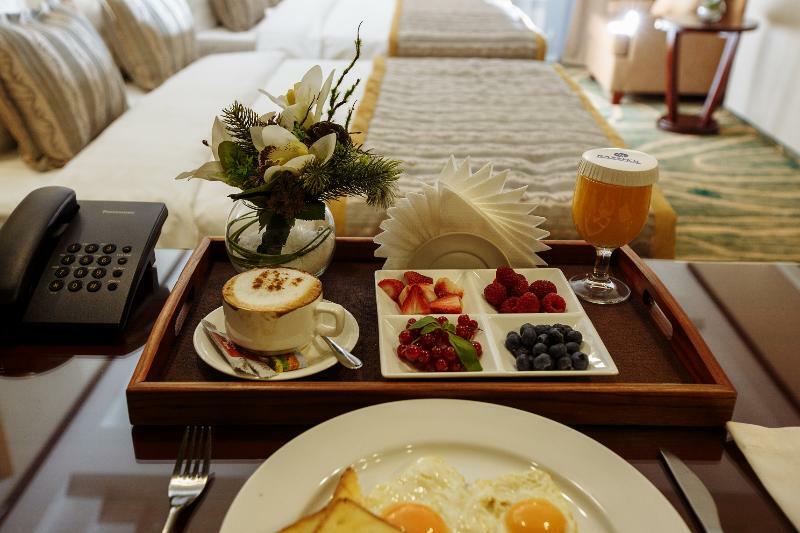 The staff were friendly and helpful when approached, the room was basic but clean and comfortable, and it had a nice selection of local dishes at breakfast to give a good introduction to some of the more standard/common Kazakh dishes. 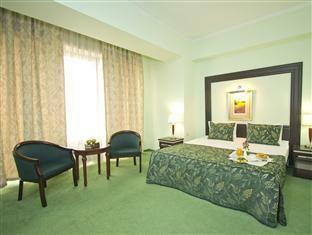 The hotel is in the traditional part of town in a quiet neighbourhood about 800m to the Zhirbek Zholy subway station. A nice choice. Stay was fine. When checking in, staff said I was only allowed one person although the hotel voucher said two. Staff was also unaware that the hotel was already paid for. This made the check in process drawn out more than necessary. We went to Kazakhstan from Kirgiz. We knew our flight there reached at mid night, we sent an airport pick up via email in english. we however did not get any replies. So we called Kazzhol directly and found out our booking did not exist (although we got confirmation by agoda!). So we had to rebooking via phone (in russian) and arrange the car pick up. (staying in kazakhstan, you have to submit your accommodation info as to get visa. so we had no choice but to stay there. ) When we arrived at the hotel, we again told the situation and recheck our booking but the receptionist again replied there was no internet booking via agoda and asked me to do the payment. However, we got a call from her a half an hour later, saying the record of my booking record has found. I was nearly being charged twice.. At the end, the second payment was cancelled, and we enjoyed the travel. Yet, I was so tired of all these troubles since the hotel initially firmly insisted that there was no reservation.. I brought a booking detail but was not its receipt with me. As to avoid those misunderstanding, I would recommend to prepare all document. the best choice in terms of quality/price, the location is also good for business. wifi is also available and free. booked for 1 week, however was moved the last day do the neighboring uyut hotel due to the hotel being overbooked.. and there is a reason why it should be. the staff are friendly and would assist in anyway. other than the difficult name to remember unless assosiated funnily, the hotel deserves well all the stars earned. 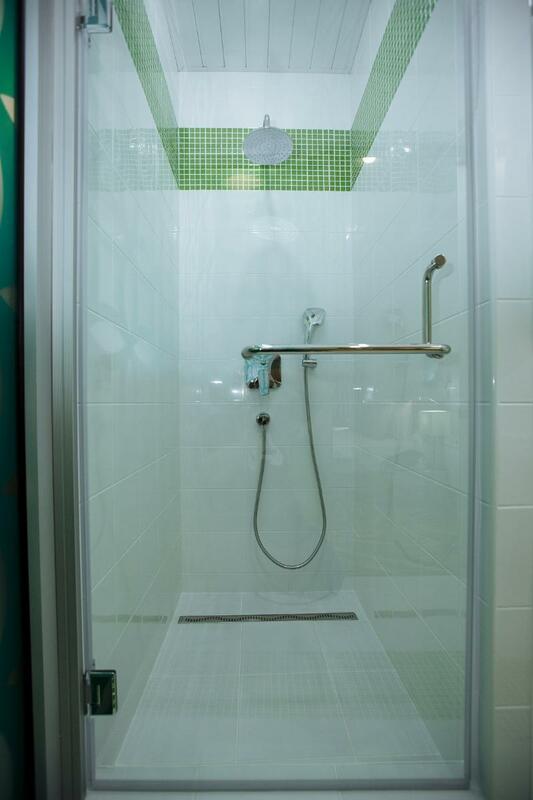 The hotel standards are good and it is very clean. They have really nice breakfast. For business travellers it is strongly advised. 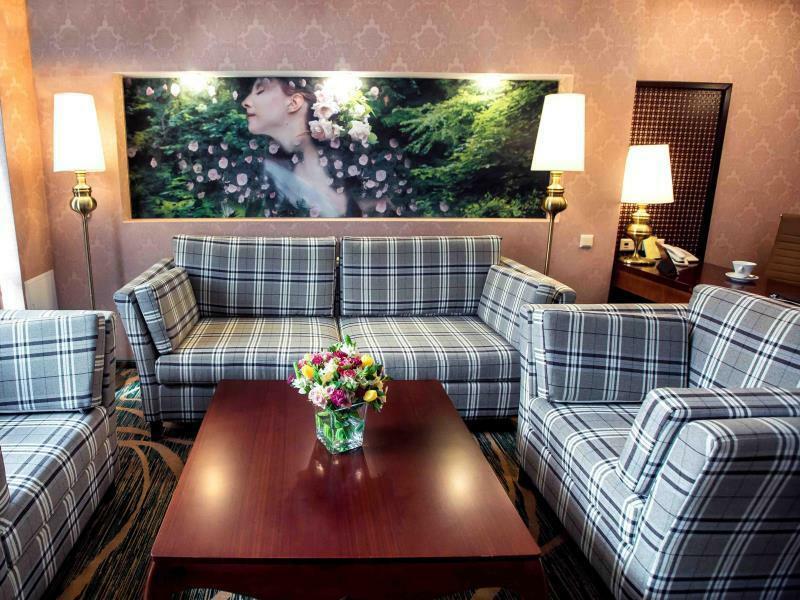 previously was stay other hotel in almaty ( sairichik hotel)this hotel more great with the location and big size of lobby and rooms..nice environment, nice food, friendly staff ..recomended those are travelling with the family and friends.easy to get public transportion within our range.